Local agricultural lender, MidAtlantic Farm Credit, announces the hiring of Samantha Steele as a loan officer in their Denton, Maryland office. I am very excited to join the Farm Credit family and for the opportunity to work with local farmers. 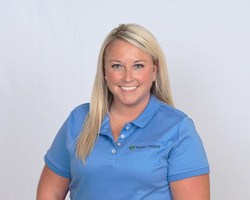 MidAtlantic Farm Credit recently announced the hiring of Samantha Steele as a loan officer. She will be based in the association’s Denton, Maryland office. Prior to joining Farm Credit, Steele was a crop insurance agent with Weller & Associates. She graduated from West Virginia University with a degree in agribusiness management and rural development. Steele is originally from and currently resides in Milford, Delaware.